Please select a size. EU 35 - In StockEU 36 ½ - In StockEU 38 - In StockEU 39 - In Stock Please select a size. Elevate your look this season wearing the Authentic Platform 2.0 from skate-style legends, Vans. 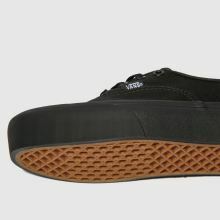 Arriving in a wearable all-black fabric upper, this style boasts Vans tab branding and a chunky 3cm flatform. 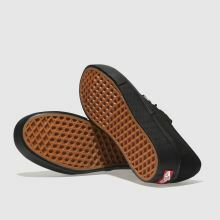 An iconic waffle tread finishes the outsole.